I am from St. Louis, where a tiny little brewery known as Anheuser-Busch (AB) is headquartered. Needless to say, I’ve followed the growth of the company for years now and I’ve always been particularly fascinated by the story of Budvar vs. Budweiser. 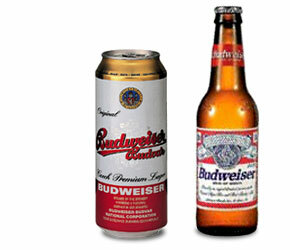 AB rolled out Budweiser way back in 1876 and registered the brand name in the US. Back then, the idea of exporting beer internationally was akin to the idea of a moon landing. But Budweiser turned out the be the most successful beer brand ever created. It survived Prohibition (some say thanks to a deal with Al Capone) and eventually AB began exporting its beer internationally. And that’s when it rubbed shoulders with another brand of Budweiser, sold by the Czech brewery Budvar. Back then, the two breweries basically agreed to leave each other alone; Budvar would stay out of the US if AB stays out of much of Europe. That turns out to be an agreement that AB sorely regrets today. For the past fifty years, lawyers have dominated this battle. Both companies have gained some ground, made some compromises. You may have noticed that Budvar sells “Budvar” in the US now and AB sells “Bud” (not Budweiser) in Europe. Anyway, I read the other day in this New York Times article that this battle is now part of a much-larger battle between the World Trade Organization (WTO) and the European Union. Apparently the EU protects the identity of 41 European products throughout Europe, such as Parma ham, Champagne and, yes, Budvar beer. The WTO, which looks at global copyright issues, says that the EU should also extend this type of protection to non-European products, such as, say, AB’s Budweiser. This is all preliminary thus far, but stay tuned. Global copyright and trademark protection is a very important issue with no easy answers. But there are real winners and losers in these cases. I, for one, wnat to see Budvar win its battle. PS: For a good article on the Budvar vs. Budweiser history, check out the Brand Channel. 1. ‘Budweiser’ is simply the German form of the adjective effectively meaning ‘from Budvar’. It is comnmon across much of eastern Europe that the popular (if not always the formal) name for a beer is derived from the town it is brewed in. The (slight) implication at the beginning that Budvar is johnny-come-lately to the name is not correct. 2. What Parma, Champagne, Budvar and a (fairly short) list of other products have in common is that they come from a very specific place and can be sold under that name only if they do in fact come from there. For some products that link has effectively vanished – so cheddar cheese is made all over the world and scarcely at all in Cheddar; for others it varies by market, so parmesan cheese can be almost anything in the US, but still has to be something very specific in Europe. The issue is nothing to do with brand names or trademarks. I just don’t see the relevance to AB’s budweiser in that, even if the WTO position were adopted.